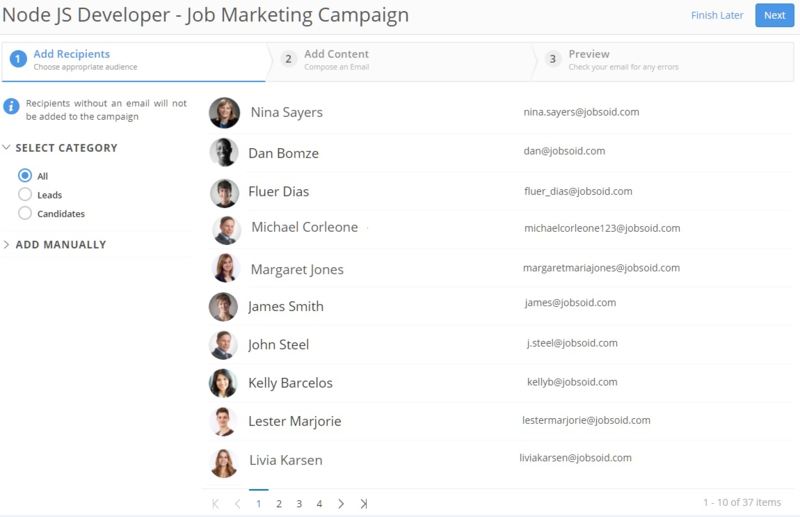 Reach out to your active as well as passive candidates seamlessly with the help of campaigns. 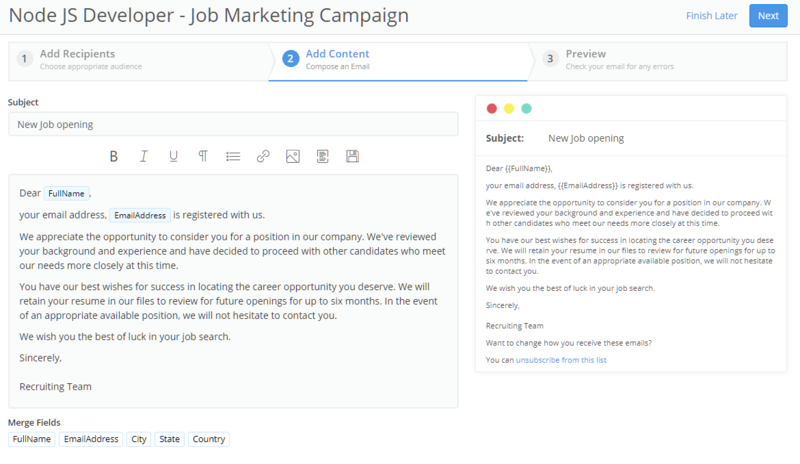 You can create a campaign for sourcing impressive candidates or a message about the job vacancies or simply, your company newsletter. You can pause your campaign creation process at any point in time. To do so click on Finish Later, right next to the Next/Send button depending on the status of your campaign. Your campaign will be saved as a draft. Make the necessary changes. You can choose to send out the emails to your targeted audience or save it in drafts, as per your requirements. 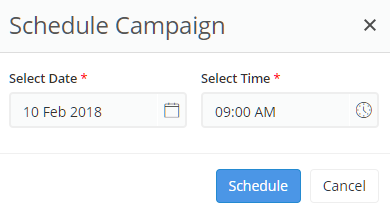 Note that you cannot edit a campaign once it is scheduled and completed. To confirm, click on Delete button. The campaign will be removed from the list of campaigns.